I'm a former journalist, now a novelist. Peregrine Island came into fruition because I love art and am always curious as to why the artist produced whatever he or she painted. Moreover, I'm fascinated by the many interpretations of family in families — what makes them tick. And because I love nature, I wrote a novel about the sea, specifically Long Island Sound. Peregrine Island: A Novel by Diane B. Saxton is a snapshot of three generations; Winter, her daughter, Elsie, and granddaughter, Peda. Each has very different ideas and feelings and Diane B. Saxton has written a comprehensive description of them. Winter is the family matriarch, while Elsie is her daughter with a very different set of rules; Peda is a young child and an imaginative dreamer. The story centers on an heirloom picture that has hung in the Long Island Sound seaside house for many years. Winter very often can be found sitting and staring into the artist’s portrait. Elsie is not sure what the attraction really is. But suddenly one summer day there is great interest in this work of art as art experts and the artist’s grandsons come seeking to see and appraise the piece. The visitors quickly cause turmoil in the house and lives are about to change. I found myself immersed in the story and unable to stop reading until the mystery and secrets were revealed. There are many secrets revealed and surprises I never saw coming. 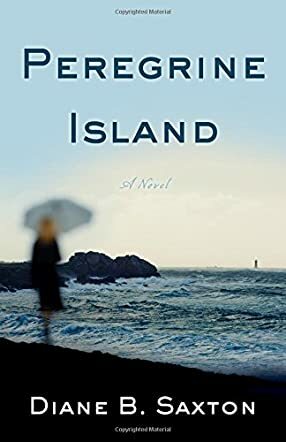 Peregrine Island really has to be read and enjoyed, and a detailed review would only serve to spoil the plot. Saxton has written a very strong and literary novel that quickly drew me in and kept me reading long into the night. Peregrine Island is deep reading in that we really get to know the women in a powerful way. If you enjoy generational family history and interaction, this is a must-read.